2019 Vendor Application You may fill out a PDF version of the contract here. You may download a mailable version of the contract here. A PayPal invoice will be sent for payment. 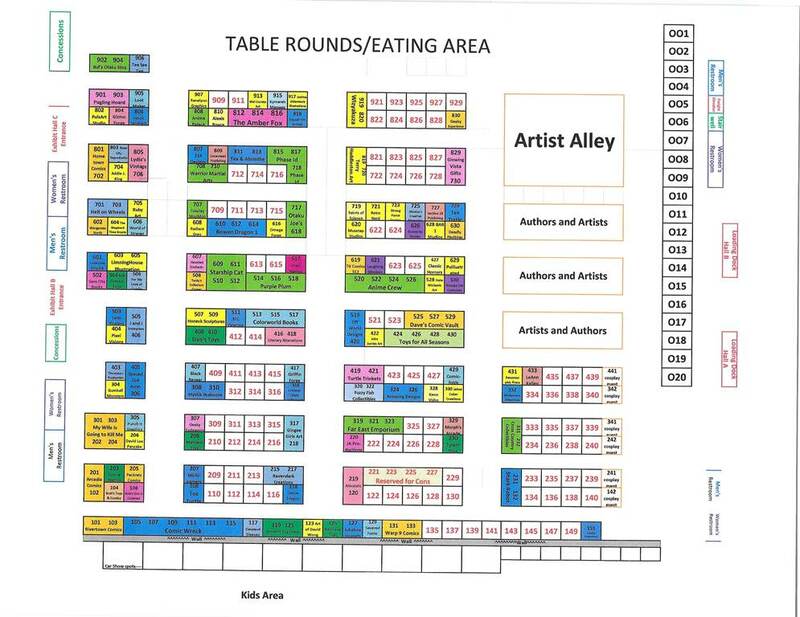 All corner booths are completely sold out! 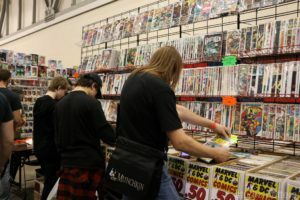 We are currently accepting vendor applications for the Grand Rapids Comic-Con, which will be held on November 8-10, 2019, at the DeVos Place in Grand Rapids, Michigan. Our last show had over 29,000 confirmed people through the turnstiles and we are expecting even more growth this year! The Grand Rapids Comic-Con is hosted in the heart of West Michigan, one of the most vibrant and economically sound communities in the Midwest. Downtown Grand Rapids is about as exciting as they come, complete with a thriving night life and a wonderful selection of micro breweries and other after-hours facilities. Combined with one of the most prosperous art scenes in the United States, it is no wonder that Lonely Planet listed Grand Rapids as one of the ten best travel destinations in the United States. We have payment in full for the contract. There is a 3% charge for paying via PayPal/credit. You may fill out a PDF of the contract here. Please send in the contract to vending@grcomiccon.com and wait for a PayPal invoice, in which a 3% charge will be added for credit card/Paypal fees. The contract will be considered complete when the paperwork and money is paid in full and no booth space will be assigned until both are completed. If you would rather mail a check send it to the following: West Michigan Convention Ventures, 2256 20th St., Hopkins, MI 49328; a version of the contract which can be mailed in is here. 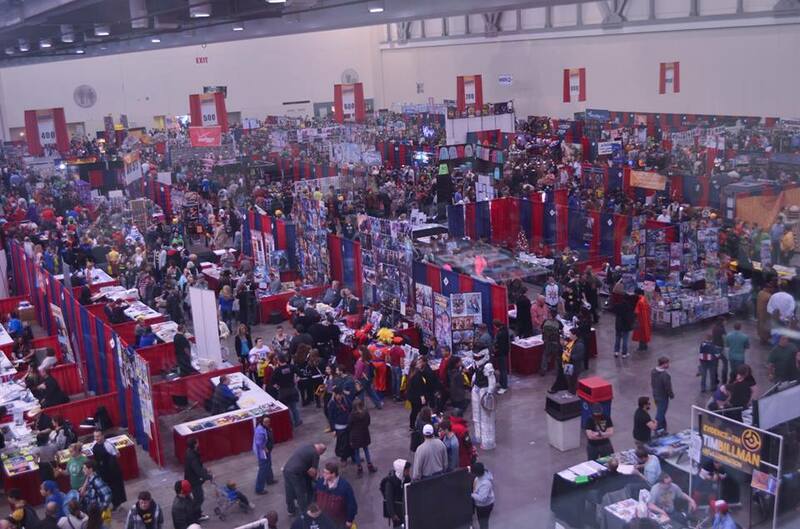 Make sure to let us know that you mailed your application by emailing us at vending@grcomiccon.com. No extra fees with paying with a check or money order; the contract will be considered complete when the paperwork and money is paid in full and no booth space will be assigned until both are completed. Once your space is paid in full you will be passed on to our vending coordinator Jennifer Hodges and she will assign your space. Jennifer will also be your contact for items such as logistics, questions, and unusual requests. You may contact her at vending@grcomiccon.com. Please note: If you are a vendor that does not sell comic or pop culture related items such as home improvement items, insurance, etc., then we will accept your application starting on October 31. You may fill out a PDF version of the contract here. You may download a mailable version of the contract here. A PayPal invoice will be sent for payment.